Shane has established a stellar reputation for her depth of knowledge of the Santa Fe real estate market, and for her integrity, enthusiasm, and tireless work on behalf of her clients. Her great success comes from diligent work, uncommon attention to detail, and following through with exceptional service to her clients throughout each transaction. She is equally well known for creative marketing techniques for her sellers, earning tremendous praise from clients for the extra effort she lavishes on their listings. Her affiliation with Sotheby’s International Realty affords her a wealth of national and international exposure to buyers, and additional tools equaled by no other local real estate company. Born and raised in Los Angeles, Shane graduated from the University of Southern California, then practiced social work for the aged, blind & disabled. She later assisted her cinematographer spouse at numerous film and commercial locations. 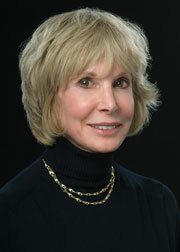 Transitioning to real estate in Los Angeles and Santa Fe, she brings over twenty-nine years of experience. A Santa Fe homeowner since 1987, Shane provides the same caring commitment from her previous career, and is consistently in the top echelon of her firm. Shane’s continuing community support includes the National Dance Institute’s outstanding after-school programs serving New Mexico’s at-risk children, the Santa Fe Animal Shelter, Santa Fe Symphony, Santa Fe Concert Association, Santa Fe Community Foundation, and the Museum of New Mexico Foundation. She is an avid fan of Santa Fe’s great restaurants, cycling, and the city’s abundant hiking trails. Areas of Expertise Fine residential homes and land, in a variety of price ranges. Why I Love Santa Fe Everything that is said about the light, art, music, history, restaurants, and natural beauty does not begin to describe the spectacular appeal of Santa Fe, its remarkable people, and the indefinable magic one finds here. Mission Statement My goal is to provide outstanding service in finding my buyers the very best of Santa Fe, and to do everything in my power to help them achieve their dream. It is to also provide my sellers with exceptional creativity, marketing expertise, enthusiasm and thoroughness. As a result, I have been rewarded with my clients’ continuing loyalty. Best Advice to Clients Let me educate you first, then follow your heart.